There are scores of security companies in this state that you can choose. Our employees however, are different from those of other companies. First, most of our armed officers and agents are full-time sworn law enforcement. A majority of our unarmed officers are part-time reserve officers. What does this mean to the you, the State of Illinois requires that security personnel go through a basic twenty- hour course on security procedures. High school graduation is not required. Compare that to the armed Elite personnel; they train for over two hundred hours on in-depth techniques and procedures. The majority of our unarmed agents have received similar training. We have the finest personnel in the business. The majority of our personnel have or are obtaining college degrees in law enforcement. Courses, featuring live role-playing scenarios teach our officers how to handle a variety of circumstances. For situations from domestic disturbances to workplace violence they are taught interaction techniques such as verbal judo to minimize negative confrontations with people by deescalating a potentially volatile scenario. A percentage of our employees are certified in weapons such as ASP (baton), mace, and firearms as well as CPR, and the use of AED. They are taught additional state and municipal laws, court procedures, operational procedures and report writing decorum. We understand that the public looks at our employees' not as Elite but as representative of your company. We understand the importance of professionalism. Our officers have excellent personal skills and will represent your interest in a non-threatening professional manner and still provide you with the desired level of security coverage. 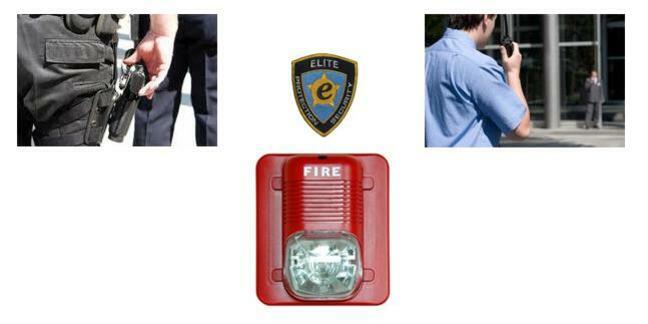 The protection of your company, assets, employees and customers, as well as your company's image, is the highest priority of Elite and is the foundation of our company. 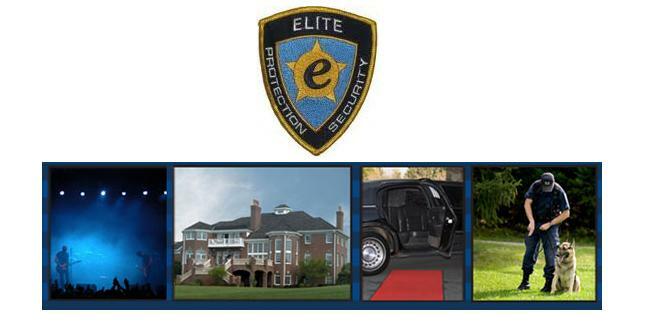 Whether you are looking for location security, in-depth security survey or executive protection, Elite will design a security solution specific to your needs.